When you delete a project, all files and data will be deleted along with it. 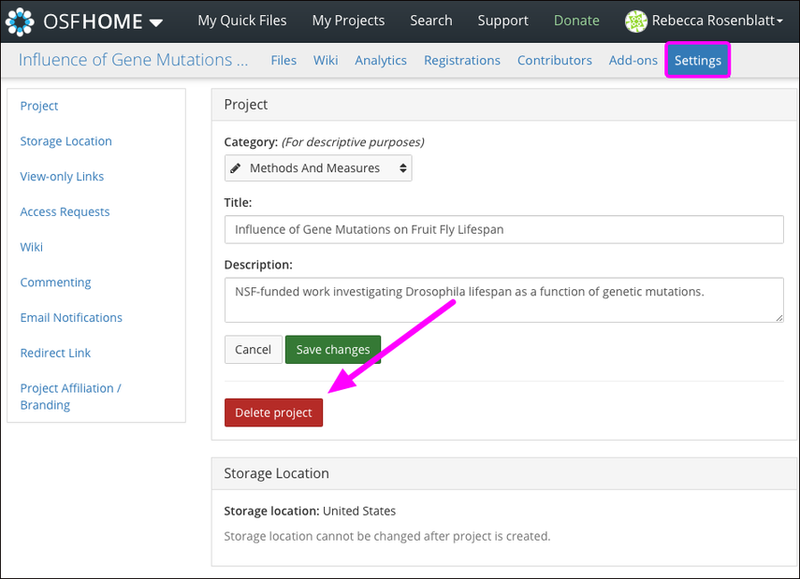 Please be aware that deleting a project is an irreversible action. Only administrators can delete projects. 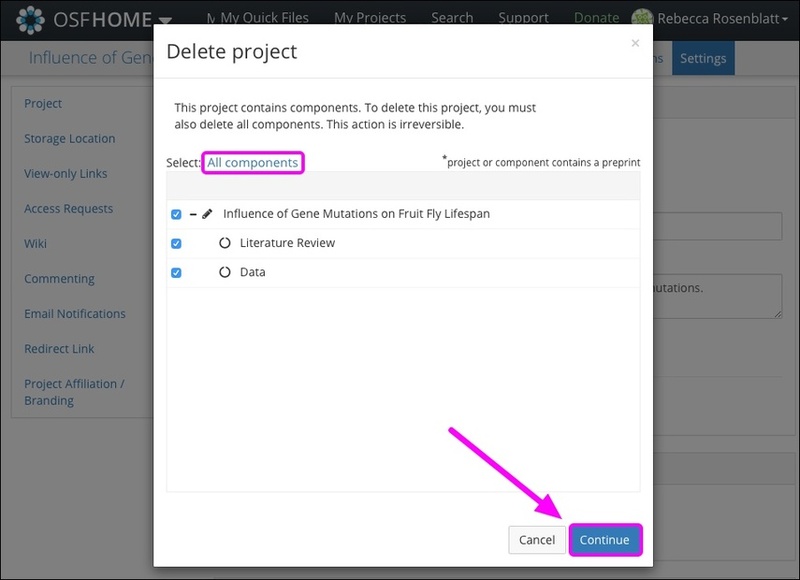 If your project has components within it, all components must be deleted before the parent project can be deleted. First, go to the project that you want to delete. Then click the Settings tab in the navigation bar. 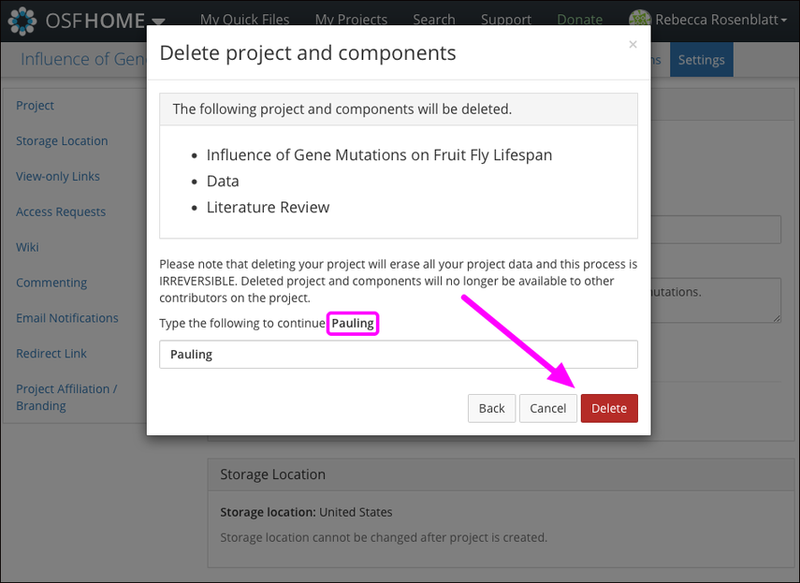 Click the red Delete project button located near the top of the page. If the project has components within it, a list of the components will appear. All components must be deleted before the project can be deleted. You must be an administrator on a component in order to delete it. If you are not an administrator, ask an administrator on the component to delete it. Select all components. Then click Continue. The "Delete Project and Components" modal will appear. 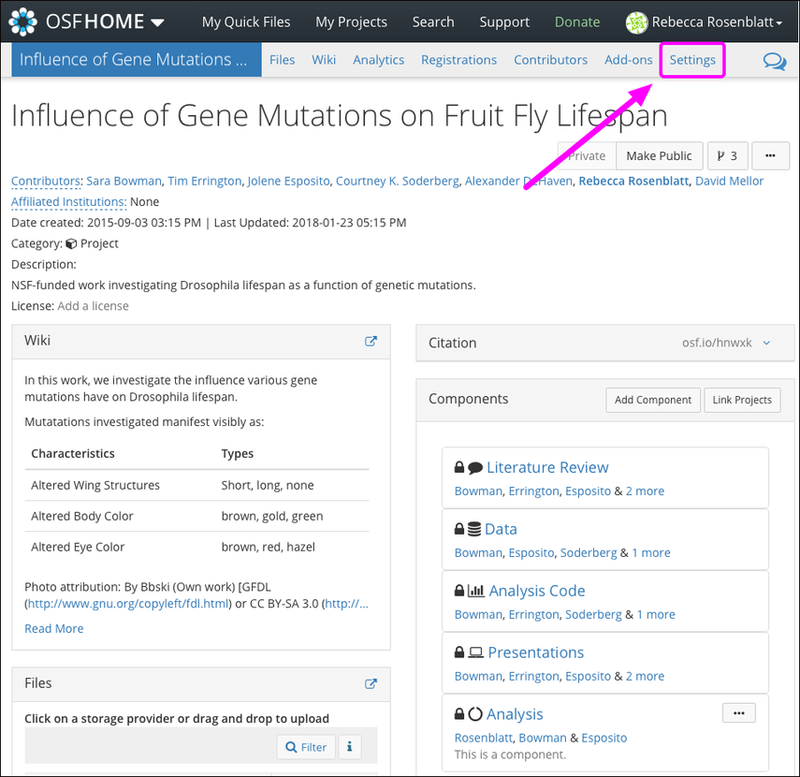 Type the verification word listed in the modal. Then click the red Delete button. A confirmation message will appear in a modal.